Please read this great story about me that was written by Johnathon Clinkscales and published in the The Enquirer-Gazette in Southern Maryland. I was excited to have two newspaper articles published about my giving holiday for veterans. World War II, the Korean War, the Cold War, the Vietnam War, Grenada, Panama, Lebanon, Operation Enduring Freedom (Afghanistan), Operation Iraqi Freedom, Operation New Dawn — those are just some of the conflicts that a vast majority of veterans have served in, many of whom are homeless due to poverty, lack of support networks and dismal living conditions in overcrowded or substandard housing. A large number of displaced and at-risk veterans live with lingering effects of post-traumatic stress disorder (PTSD) and substance abuse, which are compounded by a lack of family and social support networks. Veterans need a coordinated effort that provides secure housing, nutritional meals, basic physical health care, substance abuse care and aftercare, mental health counseling, personal development and empowerment, according to the National Coalition for Homeless Veterans. 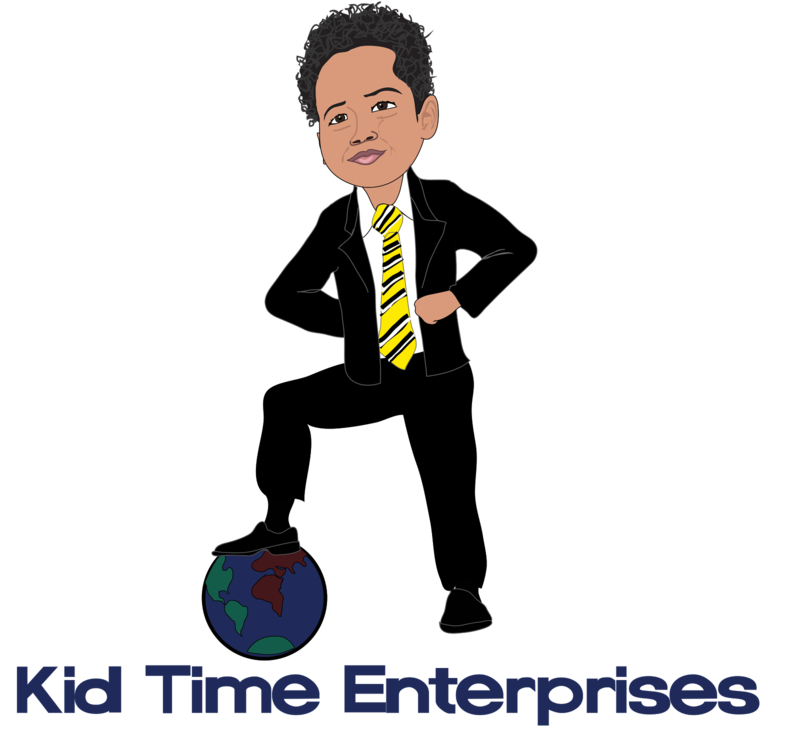 Five-year-old Tyler Stallings, honorary CEO of Kid Time Enterprises LLC, wanted to create a way to give back to those veterans in need after seeing a YouTube video about homeless vets. The Cheverly boy, with the help of his mom, launched his own campaign called “Give Back to Veterans Day” — via www.gofundme.com/uxs2hbcs — to help elderly and homeless veterans during Christmas. In addition to raising money through his campaign and making requests in-person at local shopping centers, Stallings also donated some of the proceeds from his book, “Tyler Goes Around the World,” to help raise more than $1,000 and deliver 15 boxes of goods — including a new computer, hats, gloves, scarves, soap, shirts, undergarments, toothpaste/toothbrushes, deodorant, backpacks and thermals — on Dec. 19 to the Maryland Center for Veterans Education and Training Inc. (MCVET) in Baltimore. Thanks to the support of organizations like Burgundy Wear in Laurel, Stallings also received and was able to donate hoodies and shirts for the veterans and their families. Blackstone said raising money online was hard to do and the call to help collect items went unanswered. Lots of people ignored her son when he tried to talk to them about helping veterans. Others promised to help but never showed up, even after meetings were scheduled, she said. But luckily for Stallings, Blackstone is teaching him how to deal with tough situations and unkind people at an early age. She said he is learning many lessons, especially how one small act of kindness can go a long way. For Blackstone, everyone has a purpose but may be called to do different things as not every journey will unfold the same. There is enough room for anyone who wants to participate in doing good deeds to take action and do it, she said. Both of Blackstone’s parents were active volunteers in different capacities when she was growing up. The values that she learned back then are what she is trying to pass on to her son now, she noted. As for Stallings, he believes it is his job to spread as much goodness as he can. The Give Back to Veterans Day project not only taught him how important it is to help people in need, but also that kids can give back, too, he said. Blackstone said the next steps for her son is to help him grow his business and continue to change the world one idea at a time.